Winter has settled in with an unusual chill in South Carolina. At this moment it's nearly lunch time and still below freezing. In fact, all week it has been colder here than in Helsinki, the capital of Finland. Brrrrr. 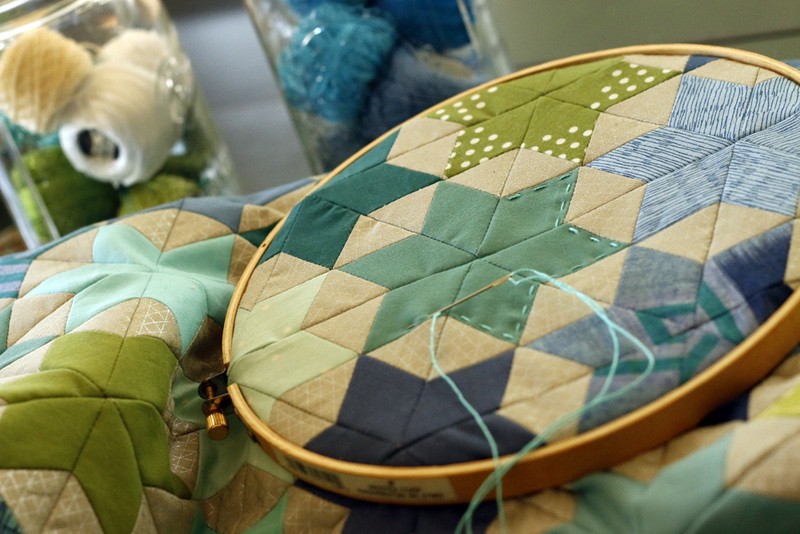 Stitching with pretty pearl cotton! This year, do you hope to support independent artists? 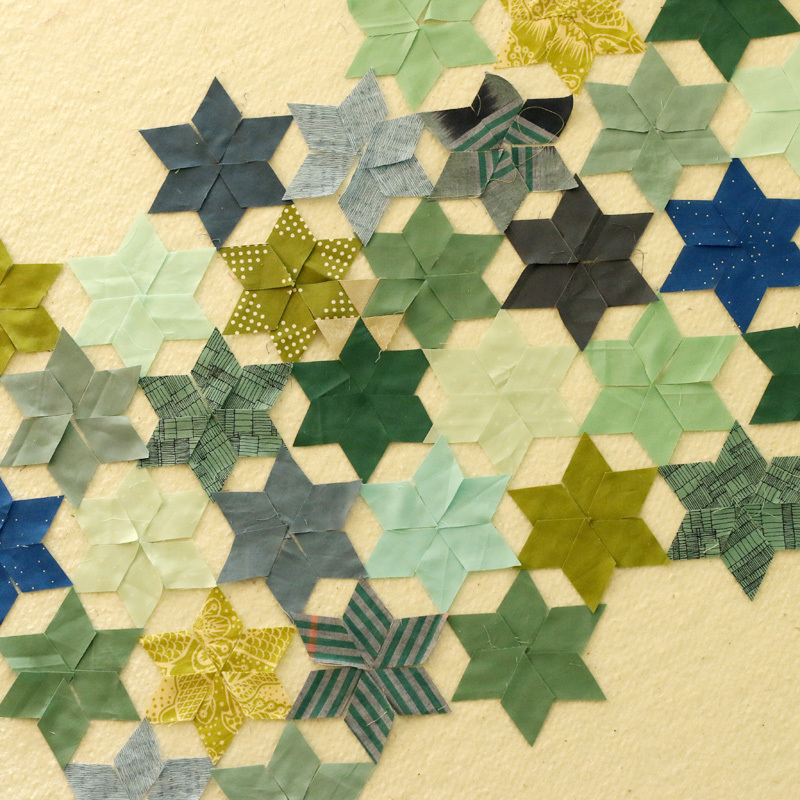 Treat yourself to Shibori fat quarters, dyed by hand in the United States. These hand stitched indigo designs are available in limited quantities at Cape Cod Shibori. There are few things I like more than a cozy corner with some hand quilting on a cold, winter day. Ok, add tea and chocolate and some friendly company. Now, that's bliss! I haven't decided if I'll quilt all of the stars with this simple outline or do some playful stitching. The back of the work won't be seen as this is going to be finished as stretched wall art. That gives me freedom to experiment. Perhaps some French knots? Maybe just a sprinkling of quilting to make the stitching stand out? Whatever happens my goal is to enjoy the process. 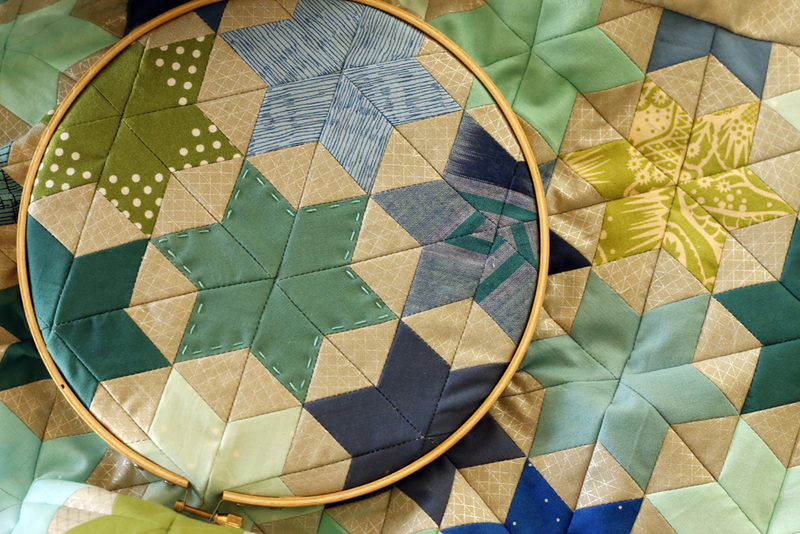 Hand quilting, small scale, no pressure. That's slow stitching at its best!